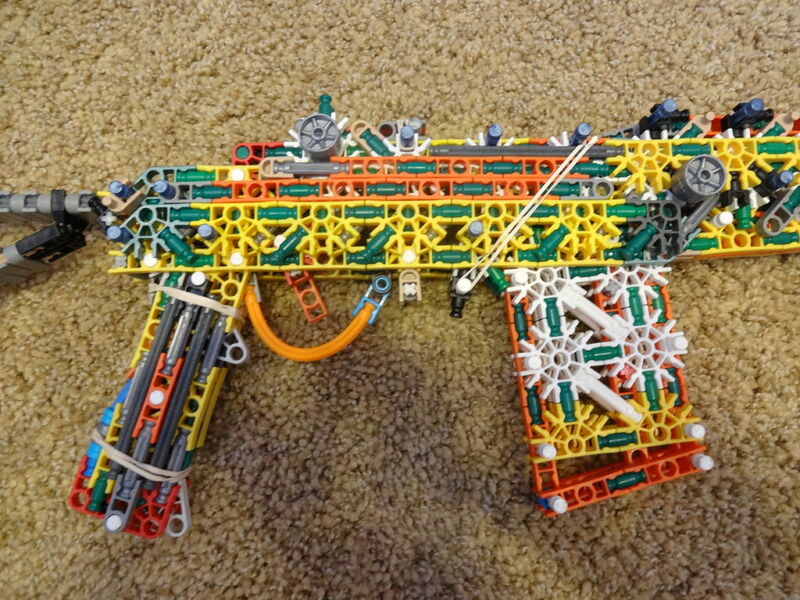 Brought to you by Blue Mullet 2 and The Red Book of Westmarch, the Beretta Modello 59 PARA is the perfect addition to your K'NEX gun replica / model favorites list. With its sturdy body, great pin-pull, and great range, the "breathed on" M1 Garand (BM59) is a fantastic gun to hold and to use. 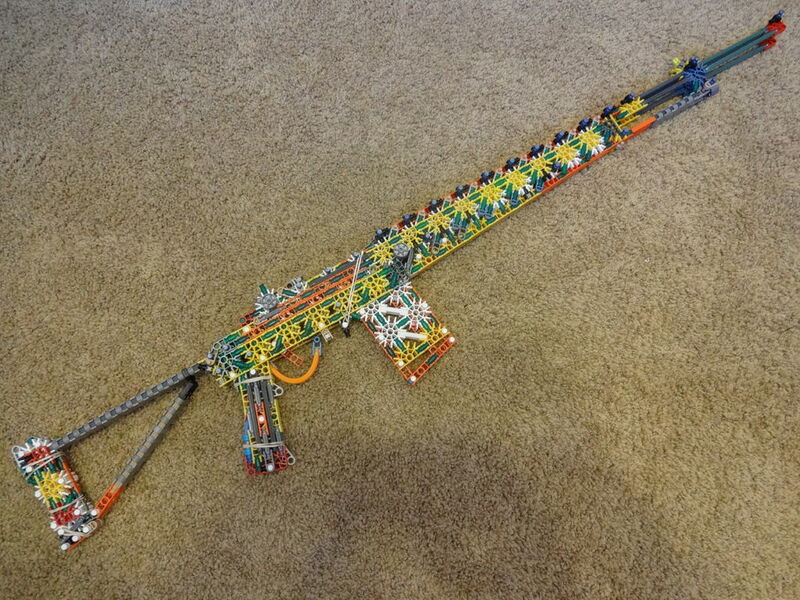 Great for target practice, indoor K'NEX wars, or just for looking at, this gun does not disappoint. Check out the next two steps for more information on each gun! True trigger and working safety. Detachable and connectable side stock. Now that you've taken a look at mine, go to step 2 to see The Red Book's version! The BM59, also known as the Beretta Modello 59, has been a gun that I have wanted to build for some time now. It is originally a heavily edited version of the M1 Garand, but the version that Blue Mullet 2 and I decided to build was the paratrooper version of that gun (see pic #10). The original BM59 PARA added a folding wire stock, a 20 rd. 7.62 NATO magazine, and selective fire capabilities. I myself have been a BIG fan of Beretta firearms for some time now, so the BM59 PARA fit my "need" to build a Beretta gun. While this gun is not as powerful nor as accurate as my M21, it still retains it's good looks, and with a caliber changed magazine (I went from firing a blue rod to firing a dark-grey one-slot connecter with a green rod) it fires more reliable rounds. Good range: 40 - 50 ft. I would love to hear your comments, enjoy! I added internal pics to my step. Try to use preloadable magazines with a roof for a better range and more convenient loading, but overall, great gun! Well, I might have tried what you suggest, but mine is a modded magazine, an IMP would have been impossible for that exact type of magazine. Thanks all the same! Great job BM and Red. BTW, how much snow did you get? I only got about an inch or two, I don't know about BM. Thanks man!